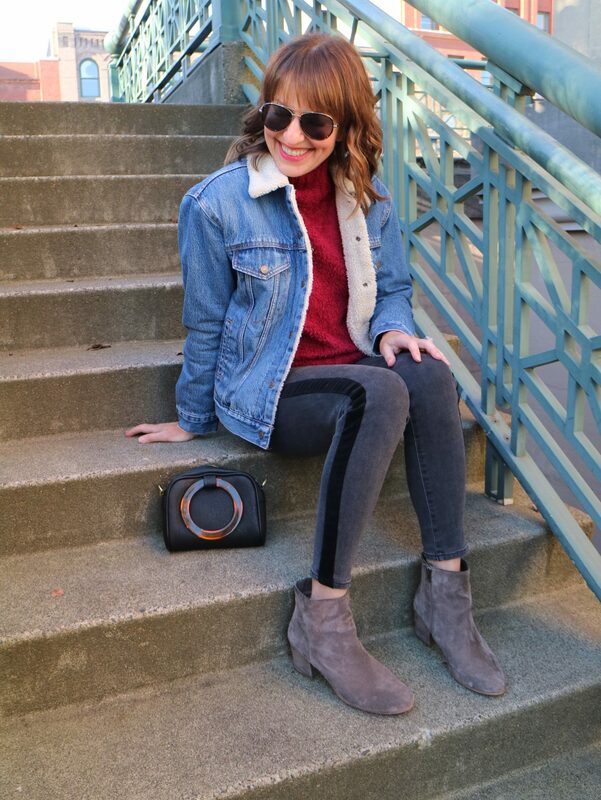 Ankle boots add a fun and updated look to your jeans outfits! Aren’t shoe trends funny? At first we’re not sure what to think of a new trend, and then next thing you know, we want one in every color! Case in point: ankle boots. What ever did we do before ankle boots?? And have you noticed? Ankle boots have driven trends in jean styles. A few years ago, skinny jeans were long and tucked into tall boots. Then ankle boots hit the scene, and suddenly a styling dilemma of what to do with the extra inches of fabric erupted. We tucked, bunched, and rolled until one season–voila! Cropped jeans were born! It’s only multiplied from there, and with so many jeans and ankle boot options, it can be overwhelming (and confusing!) 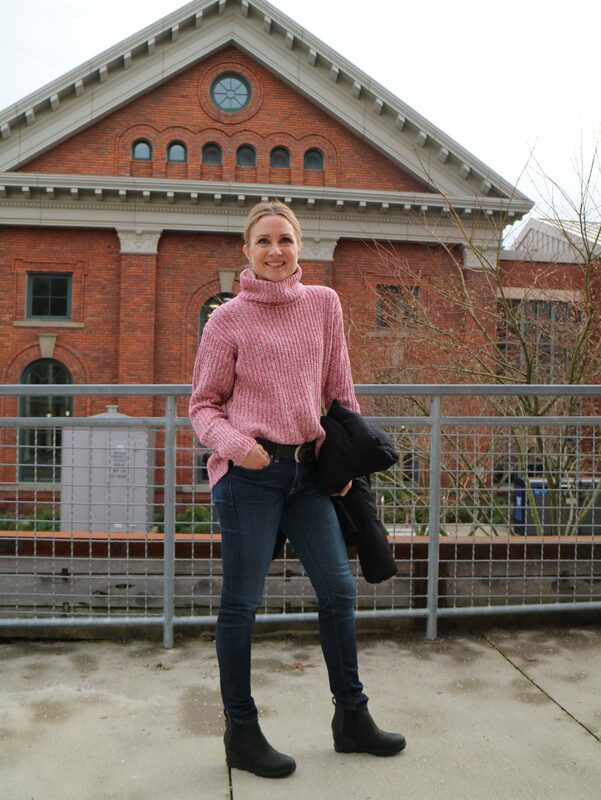 to figure how to best style ankle boots and jeans in the most flattering way. Find skinny jeans tight to the leg for easy and slimming styling with ankle boots. 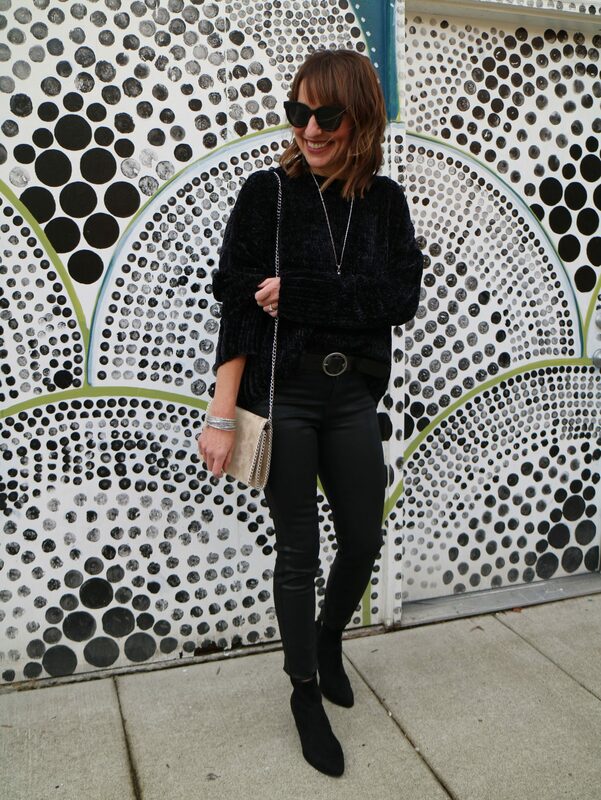 our 6 tips for ankle boot styling! 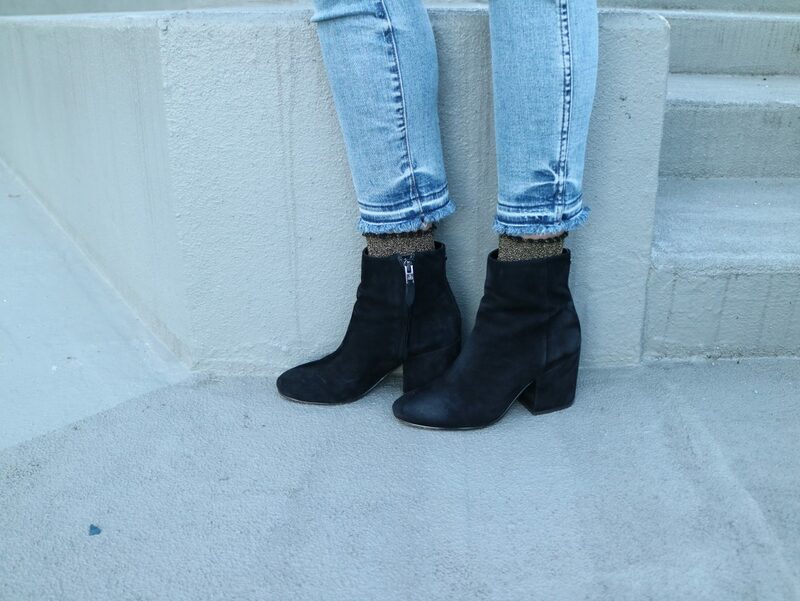 Tip #1: Low shaft ankle boots work best with long skinny jeans. Why? Because shorter pants + a big gap of skin + blob of boot is the equivalent of chopping approximately 8″-10″ off your legs. We don’t know anyone who’s a fan of that. Leaving your jeans slightly bunched gives a casual, relaxed look. Tip #2: Long skinnies can be slightly bunched, tucked, folded under, or rolled to deal with the extra material. All of these options work best with skinny jeans that are tight to the calf. Looser is less slimming and not as tidy of a look. 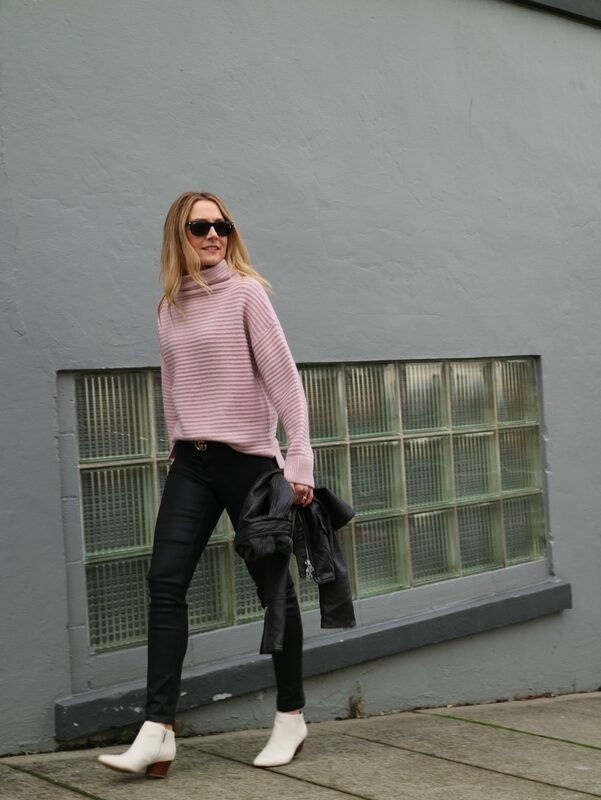 Long skinnies with booties is a simple fall & winter outfit formula! 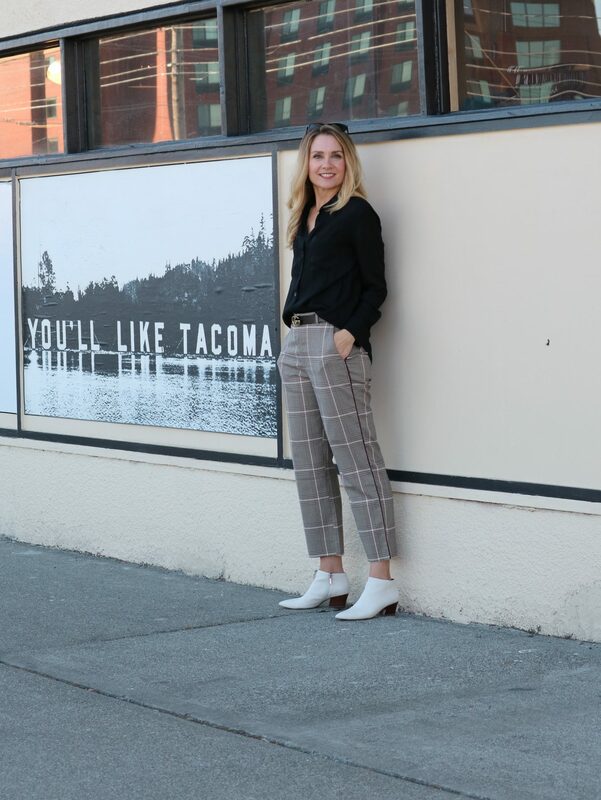 Julie tucked her longer skinny jeans to create a cropped look. Only attempt this with jeans that are tight to the leg. Krista’s jeans are also tucked. A good option if don’t own cropped jeans or want a different look with your longer skinny jeans. 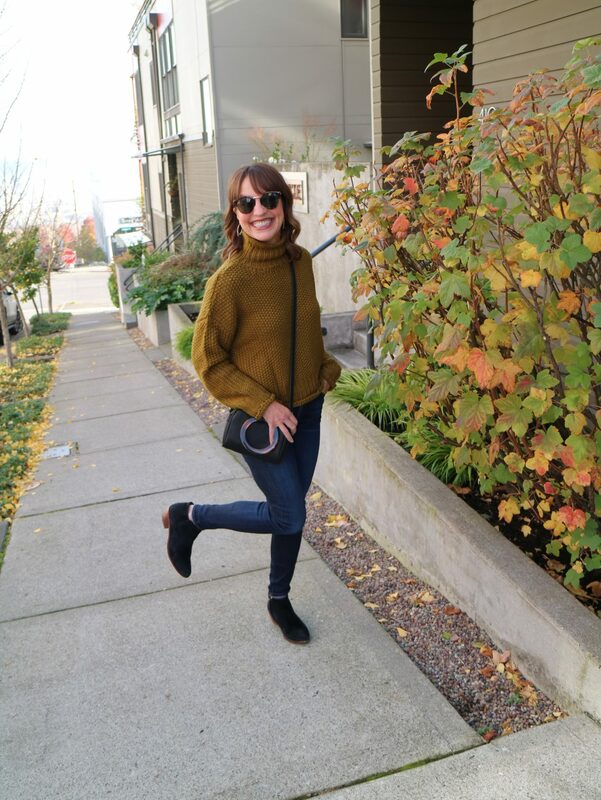 Tip #4: So, how to extend all those adorable cropped styles into the winter? Pair cropped jeans with a higher shaft ankle boot to keep the skin gap at a minimum. 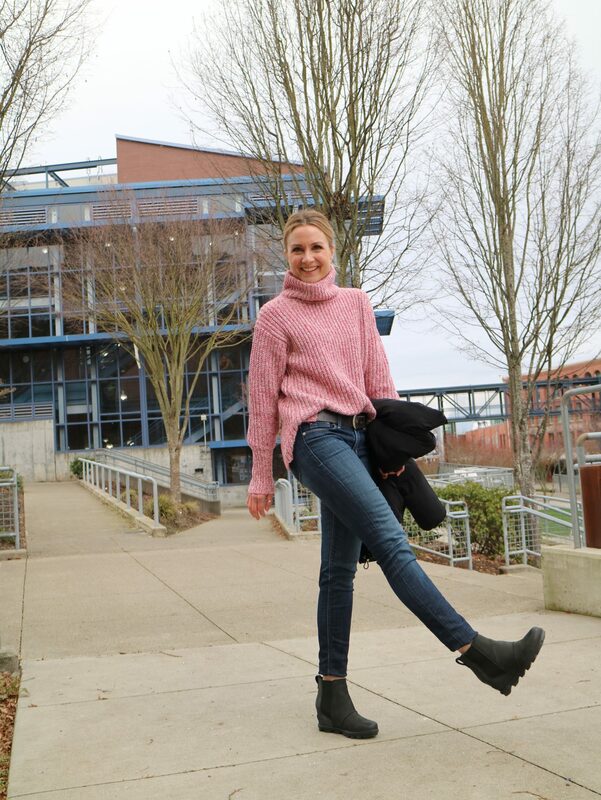 If you try your short boots on with your cropped jeans, and it looks funny, you’re probably right! The eye chops off your leg at the hem and draws the attention straight to your foot. 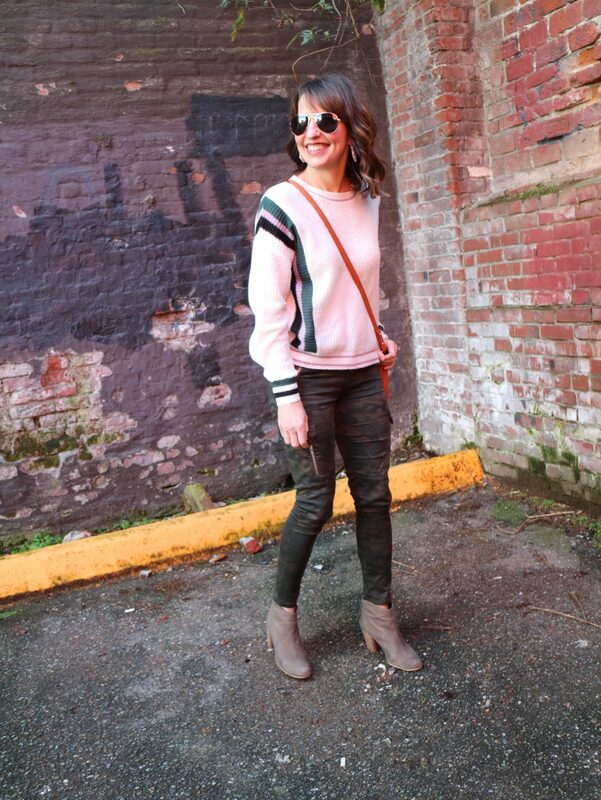 Krista’s camo jeans end right at the top of her boot, creating a seamless look. Tip #5: Wide cropped jeans are best with a high shaft ankle boot that has a slight heel and are slimmer to the leg. Keep that skin gap to a minimum and you will have created a beautiful column effect. That’s the secret to longer legs! See how the gradually narrowing pieces from top to bottom create a lengthening column effect? 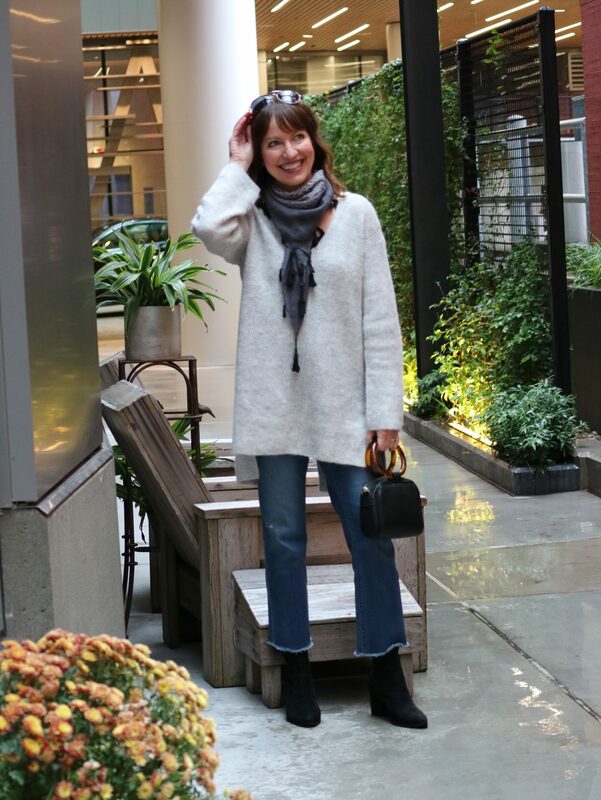 Tip #6: In winter, add a short sock to bridge the gap between boot and jean. When temps plummet, any skin showing can look and feel too cold. Not sure if it’s just us, but it seems like cropped jeans are getting even shorter! Adding a little sock can be fun and add interest and style (and warmth!) to your outfit. It’s freezing! No skin showing is a must! These Berkshire legs ankle socks are so fun with a little ruffle and touch of sparkle! 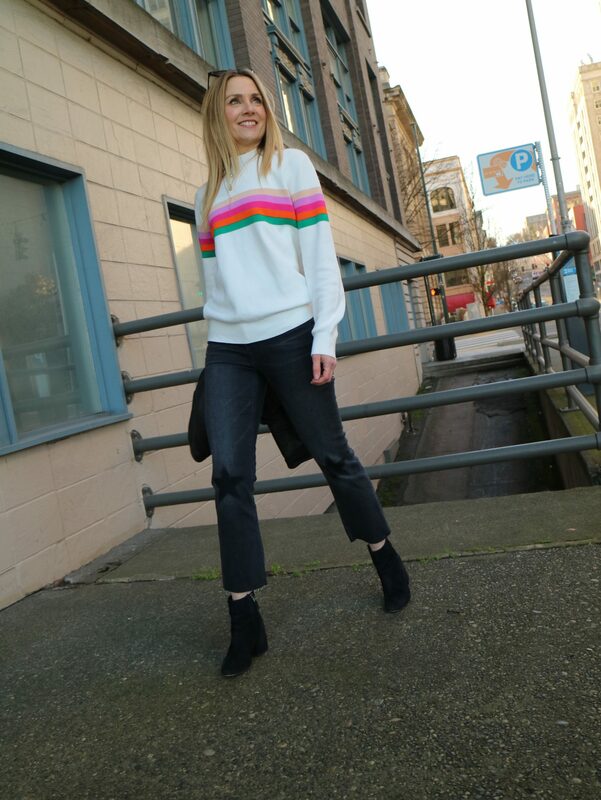 With these tips in mind, we hope you’re able to get more out of your closet and have fun creating styling winter looks! Keep scrolling to shop our looks! Hottest ankle boot trend right not? White and animal print! Made my skin brighter and smoother!! !